Graham Ross directs the Choir of Clare College, Cambridge in a wide-ranging and moving sequence of music for Remembrance, including John Tavener's 'Song for Athene', settings of the text 'When David heard of the death of Absolom' by two of England's foremost 16th-century composers, Thomas Tomkins and Thomas Weelkes, and featuring Durufle's 1948 setting of the Requiem Mass. 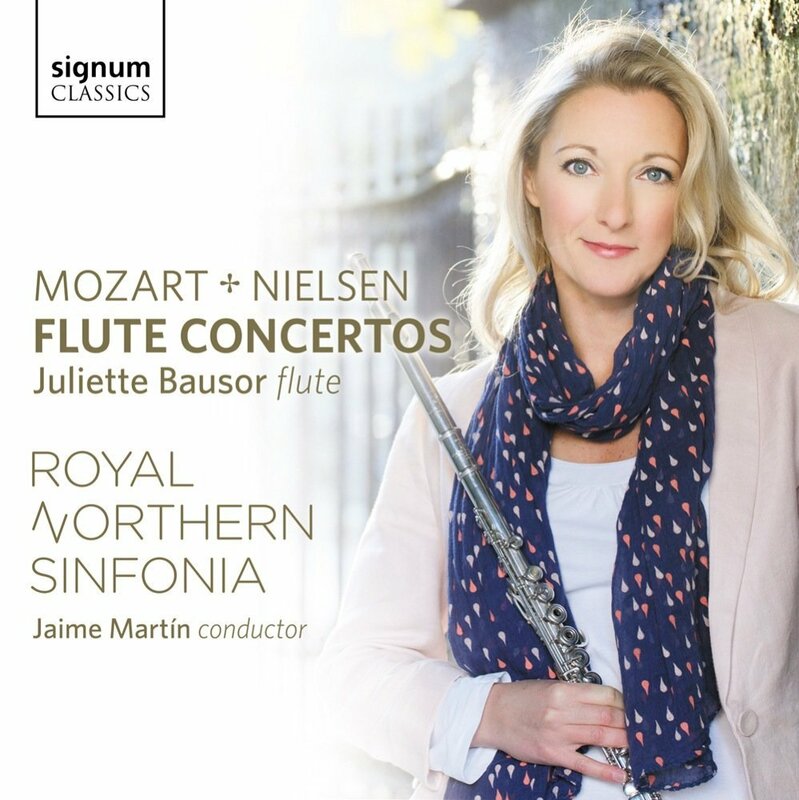 For her debut concerto recording, 2014 ECHO Rising Star Juliette Bausor performs works for flute and orchestra by Mozart and Nielsen, with Royal Northern Sinfonia and conductor, Jaime Martin. Juliette Bausor joined the London Philharmonic Orchestra in July 2016 as Principal Flute, having previously held the same position with Royal Northern Sinfonia for 11 years. She also plays Principal Flute with the London Mozart Players and is a member of the celebrated chamber group Ensemble 360. Described by John Allison in The Times as a 'rising star in the arts firmament', Juliette Bausor enjoys a growing reputation as one of the foremost flautists of her generation. Did you know Mozart once proposed marriage to Marie Antoinette? He was 6 at the time, and they probably ate cake. But nothing came of it. Nor did his attempt, aged 7, to kiss Madame Pompadour at Versailles. She refused to let him, even though, one suspects, she wasn’t always that choosy. And you never see Mozart’s left ear in portraits. Was it mangled, or what? Just a couple of fun facts that make this extraordinary DG/Decca box so endlessly fascinating. Not only do you get everything Mozart composed, including a song only discovered last year – 240 hours of music on 200 CDs – but also a new biography, and the new edition of the Koechel catalogue, that tries to lists all Mozart’s compositions in date order. The 225th anniversary of Mozart’s death falls in four weeks time, and if it’s not a good excuse for a party, at least it’s a valid reason for this new box, which will set you back around £300. In one sense, a lot of money, in another though, very little, when you think each CD costs only £1.50, and there’s a lifetime of listening pleasure to be found here. DG/Decca’s last complete Mozart set was produced for the bicentenary in 1991. 70% of these recordings are different, because a radical, and some may think, controversial, view has been taken. The tendency in this box is, wherever possible, to choose original instrument performances. A lot of famous recordings using modern orchestras, even though they feature some of the greatest artists of the last 100 years, have been marginalised into a 30CD ancillary collection. So, for instance, for the Piano Concertos, you get Robert Levin and Malcolm Bilson, playing fortepianos, which are frankly, a bit of an acquired taste. They sound far too shallow in this great music for my taste, whether or not it was what Mozart was used to. When you think DG/Decca have complete sets by outstanding pianists such as the pioneering one by Géza Anda; Daniel Barenboim; Vladimir Ashkenazy; Andras Schiff; Mitsuko Uchida etc etc; plus significant recordings of individual concertos by Maurizio Pollini and Clifford Curzon, it’s not, frankly, a decision I particularly agree with. The same is true of the symphonies, whilst some of the complete opera choices will also raise eyebrows. Perhaps complete alternative modern instrument performances should have been included, at least of the symphonies and concertos. Would it have made that much difference if the box had run to 225 CDs for the 225th anniversary, rather than, 200, as here? Anyway, enough carping. This is a magnificent undertaking, and a brave commercial decision, when the classical CD business faces such problems. It’s beautifully packaged and very heavy. You need a bodybuilding course, (not included in the price!) to hump it around. Real magic here, though not perhaps quite as magical as it could have been. 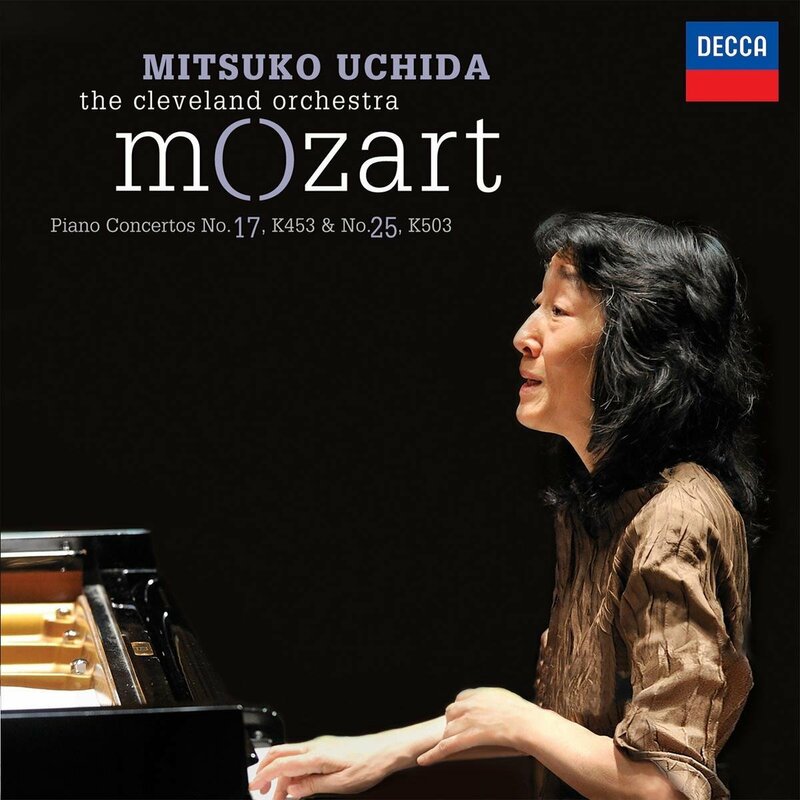 This is the fifth and final instalment of a Grammy Award-winning series of Mozart Piano Concertos where Dame Mitsuko Uchida takes the solo part, and directs a slimmed down Cleveland Orchestra. For me, this last one is the best, because of the alertness of her playing, the excellent contribution of the orchestra, with some especially eloquent woodwind, and the pairing, which brings together two contrasting concertos, both of which show Mozart’s creativity at its highest level. No.17 with its opera buffa finale, is full of good tunes, and is lightweight listening of the highest order. No.25 is of a very different order, with one of the weightiest opening movements of any Mozart concerto (its only rivals being No.18, and No.20), which have Mozart operating in Beethovenian style providing propulsion and power that points ahead to the kind of Mozart we might have heard had he lived a fuller span. Listening to these performances, which are always easy on the ear, even when making tough-minded statements as in No.25, does make me think once again that the editors of the anniversary box really did make an error in not having all the Mozart concerto performances played by artists of Uchida’s stature, relegating the fortepiano gang to supplementary CDs, rather than the other way around. 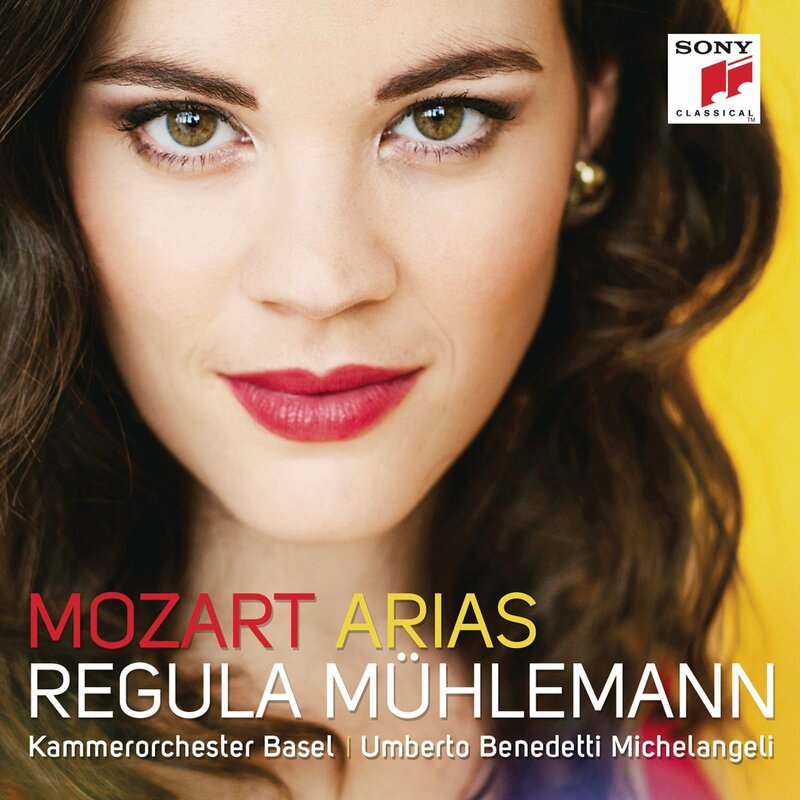 Regula Mühlemann makes an impressive debut in this absorbing album devoted in the main to arias that Mozart composed for named sopranos, including two of his sisters in-law, all expertly described in an impeccable and fascinating liner note – a model of its kind – by Dr Karl Böhmer. So what you get are arias from five of Mozart’s operas, usually little known like Lucio Silla, as well as arias designed for a particular singer to interpolate into another composers opera. Two of these are especially fine, namely “Vorrei Spiegarvi, oh Dio” written for his sister in-law Aloysia Lange, and “Schon Lacht der Holde Frühling” composed for his other sister in-law Josepha Hofer, who wanted it liven up Paisiello’s boring take on the Barber of Seville. I knew neither of these two arias, and really enjoyed them, and will be playing them on my show on December 11th. This album is completed by the well known motet “Exsultate Jubilate”, which Dr Böhmer advises was originally composed for a castrato. Didn’t know that. Please consider this album for purchase or download, even though it is a bit short weight at 54 minutes, because it’s full of good listening, with some great information attached. The Basel Chamber Orchestra under Umberto Benedetti Michelangeli also make a fine contribution here, with some delightful woodwind playing, as by the unnamed principal oboe in “Vorrei Spiegarvi”.